Great news for those of you who have told Time Warner Cable to stick it, basic television now has a great new station: Antenna TV! A product of Fox 4 TV in Kansas City, Antenna TV has a great line up of classic television shows and classic movies. Antenna TV runs 24 hours per day and offers some of television's greatest shows that ever aired. Obviously modeled after Nick at Night, channel 4.2 is quickly becoming a household favorite in Kansas City. Time Warner Cable is a complete rip off. If you currently have Time Warner Cable it may interest you to know that you should not be paying any more than $34.99 per month for digital standard cable (70+ channels). That's right, and if you're in your first year of service with Time Warner Cable, then you should only be paying $29.99 for digital standard cable (after 12 months the price goes up $5 to $34.99). If you are paying any more than this, you are getting ripped off and you need to call Time Warner Cable and complain. You may have to be tricky and tell them that you want to cancel all service at first so that they will transfer you to the "retention department" where those operators have the authority to offer good deals. If you are speaking to a regular customer service agent, they will not have the authority to offer any deals, you have to say that you want to cancel service and then they will transfer you to the retention department where they should make you an offer. If this doesn't work, try cancelling service completely, then wait a couple days and sign up for service using someone else's name (your spouse, other adult in the house, etc.) - they will offer you the new customer deal of $29.99, then, every 12 months, just cancel again and then reapply with the name you used 12 months ago. In our case, we just cancelled Time Warner Completely, signed up with AT&T internet service ($29.99 per month and is TWICE as fast as Time Warner) and went to Best Buy, bought a high powered TV antenna for $39.99 and bingo, our TV and internet bills total $29.99 per month - and that's it. The HD that you can pick up now with just an antenna is much better quality than the HD that you get with a cable package. Not to mention that if you have internet service ($29.99 per month with AT&T) then you can get access to NetFlix which allows you to watch almost any movie and/or TV show you want. Now back to the great new TV station, Antenna TV, which in Kansas City is located on channel 4.2. 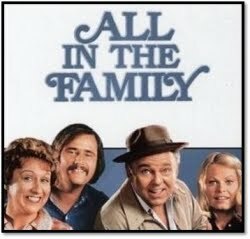 The Antenna TV programs include such great classics as Three's Company, Married with Children, Sanford and Son, Good Times, All in the Family, Soap, and even the classic lost TV series featuring Ted Knight, Too Close for Comfort. The only drawback so far is that they show the lamest show ever "Mad About You" - sheesh, how did that stupid show stay on the air so long? But either way, here at Kansas City News we would like to welcome Antenna TV to Kansas City!